Refrigerators are tightly sealed to keep the cold air inside. When the temperature inside the fridge changes abruptly, condensation may appear on food containers and the walls of the refrigerator. Faults in drains may also cause water to pool inside. This can cause nasty spills near the base of the fridge. If left for a long period, this may cause parts of the refrigerator to rust out. Dealing with condensation immediately keeps the unit from running inefficiently. Condensate inside the fridge can indicate faulty seals. 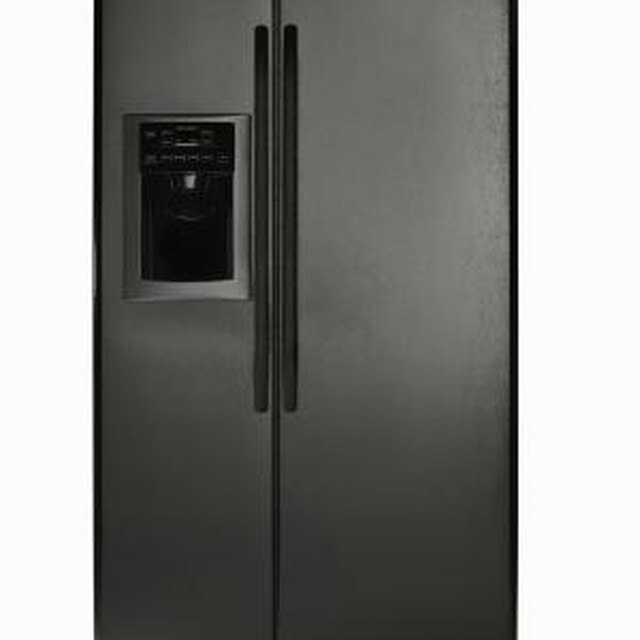 Inspect the door to the refrigerator or the freezer, whichever is showing signs of condensation. Look at the rubber gasket running around the door for cracks or hard spots. These cracks may indicate that air is leaking into the fridge. Replace the gasket if necessary by lifting it up and loosening the screws that hold it in place. Check the temperature switch inside the refrigerator. Turn it up if it is on a low setting. Listen to see if the refrigerator starts up. Pull the fridge out from the wall and vacuum the condenser coils using a vacuum with a soft brush attachment to remove dust from the coils. Dusty condenser coils may prevent heat from escaping the refrigerator. Inspect the drain pipe inside the refrigerator. It is located at the bottom of the fridge, underneath the vegetable trays. Inspect the hole for dirt or debris, which may clog it. Place a plastic bit of tubing into the hole and blow into it to remove any clogs.